Has it really been more than a year since I last blogged?! I guess I believe it considering the circumstances. Many blessings have come our way recently. I figured what better than to start over (again) with all the things that I LOVE (forgive me as I adjust back to blogging. I need to get back into the groove and adjust my settings, background, add pictures, etc...I digress). I love that the sun is dancing through my blinds as I type. Beautiful weather has been long awaited. I love that there is not a cloud in the sky. Perfectly clear, perfectly blue. I love hearing the squeals and laughter of my little "son"-shine as he decides which drawer to open, which chair to climb, and which item to stick in his mouth. I love counting his little fingers, and his little toes knowing that every inch of him has some part of me. I love his almond shaped eyes and his one-toothed grin. I love the two cow-licks in the back of his hair about as much as I love the swoop of hair over his forehead (I like to think of it as one day being Justin Bieber hair). I love to ponder the future and imagine what kind of man he will grow up to be. I love the way he holds his arms out towards me when he wants to be held. I love when I hold him how he sweetly nestles his head in the most perfect position so I can smell the sweetness of his skin and kiss his forehead and whisper in his ear just how much I love him. I love to lay next to him as he sleeps (and dreams of eating ice-cream with Papaw and Nana, and Skyping with Auntie BecBec). I love to wake up in the morning hearing the babbles and coos on the monitor as he plays in his crib. I love to get lost in the moments only wishing for more hours to spend with him. My love for Ty is perfectly endless. I love him as a best friend, husband, and father. I love his devotion. I love his spontaneity. I love the welcome home hug and kiss no matter what time of day or mood. I love his smile from ear to ear and how infectious his laugh is. I love that I have to remind him that he must wear brown shoes with a brown belt, not black. I love that he wears sandals year around. I love his Eskimo kisses. I love his amazingly tender touch. I love that he wants to hold hands and hug really tight. I love his intelligence, but more so his wittiness. I love our inside jokes that would only make sense to the two of us. I love his determination and will to complete any and all tasks presented before him. I love that he is solid, grounded, and firm. I love him as my soulmate. I love his romantic ways (can't give away all the secrets). I love his desire and ability to be a perfect man. My love for Chris is perfectly matched. I love flip flops. I love sun tan lines. I love my friends. I love my family. I love my job and the lives that have touched me. I love french vanilla frozen yogurt topped with hot fudge (and maybe a few sprinkles). I love texting. I love getting snail mail just because. I love pedicures. I love grilling on the back porch with a sweet adult beverage in hand. I love to get lost in crime novels. I love curling up on the couch for an afternoon nap. I love shopping. I love scrapbooking. I love learning new things. I love haircuts. I love blogging (now, if I could only find extra time in the day). There are so many things that I love, I don't think I could possibly begin to name them all. Knowing how much I love makes me realize I have just as much love to give and so much to be thankful for! Hubby had been on my case for months about having a "get-together-cookout-kinda-thing" for his birthday (in other words, I do the planning, he just shows up). What he DID NOT know, I had already planned a surprise birthday party for him at the house. For those of you who know me, know that I cannot keep an exciting secret to myself (if it has anything to do with surprises, I just wanna share). For ONCE, I actually kept him the dark (complete dark)! Over the course of the last month, I had been making arrangements for a personal chef to come to our house and prepare a meal for ourselves and our close friends. The chef needed to come to the house, so I had a last minute plan of getting Hubby out of the house by having our good friends call to say they needed help with a door?! The issue with the door was truly benign, but it got Hubby out of the house for about an hour. The chef showed up, toured our kitchen (all several hundred square feet of it), memorized the layout of the baking items, pots/pans, utensils, etc (again, a small collection),we chose a menu and she was on her merry way (it was extremely rushed because I did not know how long it would take to "fix the door"). The Weber grill price difference + price matching made the grill cost: $56.68 (I am always looking for a great deal, I believe I found me one)!! Because I got such a great deal on the grill, I bought a cover and some new grilling utensils and the cost was still less than the price at Lowe's. Now, to hide the grill from Hubby. I just called my wonderful neighbor (and friend) and she gladly (at least it seemed so) accepted the proposition. Hubby insistently (like a child) brought up the "get-together-cookout" and how I needed to get a plan going. So, unfortunately, the surprise did not last until the day of the party. I ran out of creative ways to surprise him as guests arrived. Thursday, the day before the party I left the invitation for the party out for him to look at. Also, I told him that the neighbors sprung a leak (her Hubby was gone, and it had been raining, it was the best I could do). He went over and found all of his new grilling contraptions! YYYEEESSS, I succeeded, I surprised him BIG TIME!! He had no idea (although he will swear he knew "something was up"...that's just hindsight though)! Friday was the PARTAY! We had a great time with our friends! The food that the personal chef prepared was EXCELLENT. We had for appetizers: prepare your own sushi, salmon wrapped in asparagus, and bread with goat cheese and sun dried tomatoes. We had a superb salad with a homeade raspberry vinaigrette. Yum! For the main course we had sauteed (not sure what the saute was, but nonetheless great) carrots and snow peas. Rice pilaf with mushrooms. Beef or chicken puff pastry. And MY FAVORITE (dessert, of course)---creme brulee with roasted berries!! My taste buds were definitely having a party in my mouth! My compliments to the chef--she cooked a fantastic dinner, AAANNDDD cleaned up after herself, and put all of the leftovers in the fridge. I had absolutely NO clean up whatsoever! Meanwhile, we played the game Loaded Questions with our friends! It was sooo much fun! I think (and hope) a GREAT time was had by ALL (especially HUBBY)! PS----DON'T FORGET ABOUT MY GIVEAWAY! IT'S A SUPER CUTE PAIR OF EARRINGS--LOOK AT SATURDAY'S (THE 12TH) POST TO ENTER!! You Have Until Wednesday To Enter! This is another great giveaway that I have found! 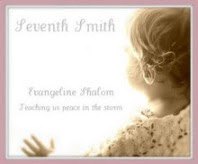 =) Not only does the family have an amazing story with their child, Evie....There is an awesome giveaway TIMES 3!!! The first giveaway is from 4 Sweet Cheeks! 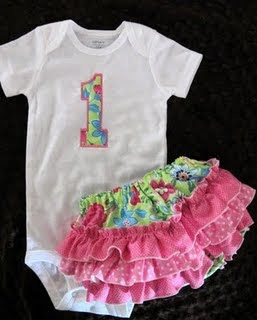 The second giveaway is from Sherbet Baby Boutique! 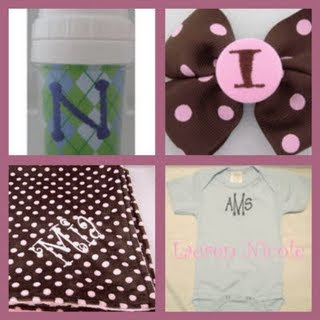 And the last giveaway is from Lauren Nicole Gifts! You only have until Wednesday (16th) to enter!! I am truly excited about this giveaway because I LOVE anything sweet!! The Sunshine Studio is putting the spotlight on Lynsey and Harper Confections! 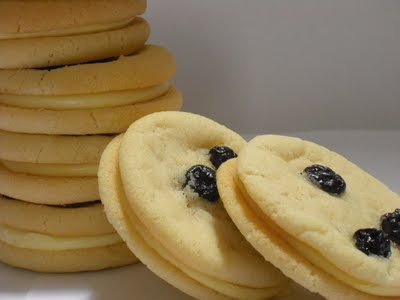 Mhhhmm.... deliciously mouth-watering!! 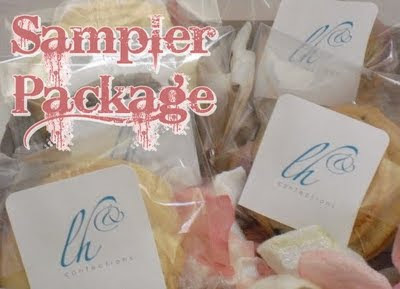 Visit The Sunshine Studio to read the interview of Lynsey and Harper Confections and enter to win a Sampler Package!!! You will not be disappointed!! 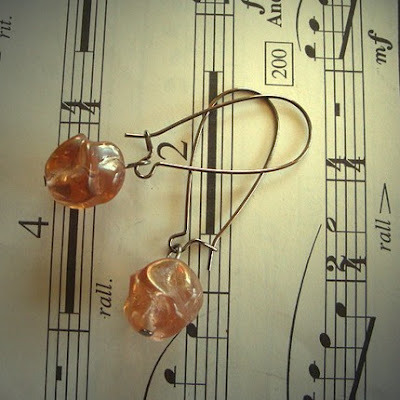 PS Don't forget to enter MY giveaway for the peach pit earrings!! Posted Saturday September 12! What a terrific giveaway! 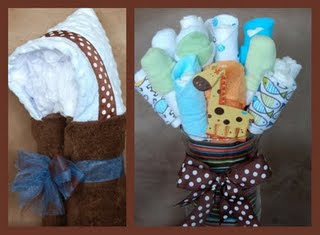 Check out Bless This Nest's blog to read more of her product review and enter the giveaway!! I currently live with my parents while I'm building a geodesic dome on property in back of theirs with my significant other Adam. I'm an only child, thankfully. I have 3 rescued cats ( Emma & Bri & Gracie who Adam claims is his cat) and a little Chihuahua/Terrier Mix named Leo. They are my children and I treat them as such (spoil them rotten). How did your shop come to be? I heard about Etsy when it first started on crafters.org. I joined and listed a few things. There wasn't much action on Etsy at the time and I had been selling handmade clothing on eBay. I sold 1 or 2 things and then kinda forgot about it for a while. Then eBay got worse an worse and I started hearing more about Etsy. I had a lot of jewelry findings, started listing them and they sold. From there I went on to making and selling jewelry and some sewn items. Favorite thing about having an Etsy shop? I think my favorite thing about Etsy is all of the friends that I have made. For the most part there is no competition even between people who sell close to the same kinds of things. Everything you make is unique so therefore there's no competition, which is nice. Plus it feels like a real physical shop. How did you come up with the name Smiling Frog? The name came from Adam. I love frogs and one late winter day I was telling him I saw the first frog of the year sitting on a sunny rock near the pond. He said "What kind of face did he make?" and I did my best frog smile imitation. So after that he always asks me on a sunny day "What kind of face did the frogs make today?". Yes, we're weird, yes we talk to animals and insects a lot. :) I'm an only child, that's my excuse. I make my own fun and talk to myself. Hmmn, I've been thinking I want to go to Canada, which isn't too far from Maine. It just seems like a friendly place with lots of neat shops. What are your hobbies/and what do you do in your spare time? I have a very hard time separating hobbies from work. Pretty much making things is my hobby and I get to sell them. My other job is gardening, which is also a hobby. Other than that I try to spend a few hours with friends a week. I do spend way too much time on facebook, I have to admit. Are you involved with any organizations/volunteer work? I try to give donations to animal rescue groups and canine cancer groups when I can. My last dog, Gunny, died of cancer after a 7 month battle. 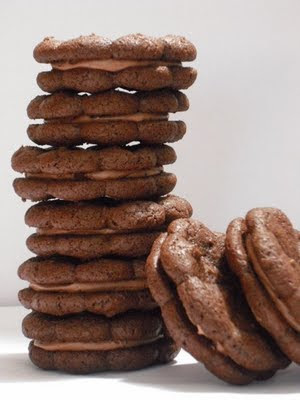 Favorite food, if you call it that, chocolate. Favorite drink, soda, probably Mountain Dew. Really I try to healthy but those are my weaknesses. Hopefully in my house. It has been sort of a nightmare building a geodesic dome and has taken way longer than expected. Other than that I hope my Etsy business picks up even more so it can fully support me through the long Maine winter. All the artists of Etsy inspire me and amaze me. Nature inspires me. When I am gardening I have time to daydream about things I could possibly make. The most daring thing you have done? That's a hard one. I don't think I can think of anything. I've done more stupid things than daring. Although I am deathly afraid of heights and when we were building the shell of the dome I had to bring plywood up and down a 30 foot extension ladder tied to a scaffolding and it shook all the way. I would be in tears by the time I got to the top, but I did it. Not bad for someone who once got stuck on top of a 10 foot greenhouse and had to be carried down a ladder over someone's shoulder. What is upcoming for Smiling Frog? I am hoping this winter to have a line of clothing and to have some sterling silver jewelry. I have a jeweler's torch that I must learn to use. Plus I really want to get back to my seamstress roots, which is what I started out as. Thanks to Smiling Frog for giving us an opportunity to get to know her better! What an amazing story she has! 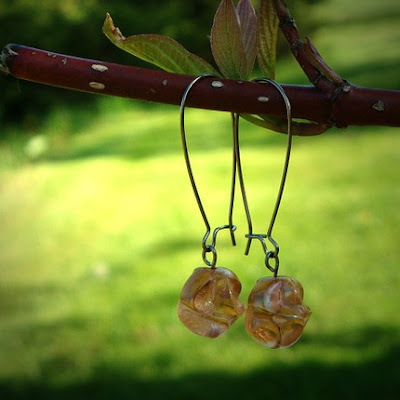 Now, it's your turn to win the precious peach pit earrings!! PLEASE LEAVE ONLY ONE COMMENT TO TELL ME HOW MANY ENTRIES YOU EARN! YOU WILL HAVE UNTIL SUNDAY SEPTEMBER 20 TO ENTER. I WILL ANNOUNCE THE WINNER ON MONDAY(21ST)! GOOD LUCK! Hope you're having a great, football-filled weekend (I AM)!! I am a fun-loving, mid-twenties, married with one handsome son, originally from Georgia, southern gal! There aren't many things that I don't love. My family/friends are my numero uno! They are all so very important to me! I LOVE, LOVE, LOVE pedicures/manicures, getting my hair did, surprises, a nice long jog, riding in the car with the windows down and no destination, scrapbooking, romance, southern sweet tea, being curled up on the couch with the mister, ice-cream, shopping for EVERYONE, martini's and the stories told after a few of them, home-cooked meals, being momma's number one, and always daddy's little girl, the love that only my seester provides me because she understands me the best, and the list continues... By day (and some nights) I am a pediatric nurse! I love my job and the lives that touch me!